Arranging a party at your home and want it to be a big bash party. It couldn’t become a successful affair without any games into it and it is obvious that when it comes to games and having fun, nothing can beat the enjoyment of playing casino games with your family and friends. Your guests will love to play the game and feel the excitement you want in your party. You want your guests to relax and enjoy, we here at B.A.M Casino parties will take a step forward to let you have what you want. Blackjack is one of the popular games in the casino to spice up your entire day. One of the most popular games of casino is the BlackJack or 21, it is the most popular casino game which is played with cards and purchased chips. Bets are made among the players and due to the involvement of cash, some relate it with real life gambling as well. Blackjack is commonly known as Twenty-One. It is one of the most fascinating card casino games all around the world. It’s popularity ages from World War I and its roots go back to the 1760 in France, where it’s called Vingt-et-Un (French for 21). Object of the game is to reach a final score higher than the dealer without exceeding 21. Hit: A player draws another card. If this card gets the player’s total points to exceed 21, he loses. Split: If a player has a pair, or any two cards with 10 points, then he has a privilege to double his bet and separate his cards into two individual hands. The dealer can automatically give each card a second card. Here, the player can hit, stand or double normally. 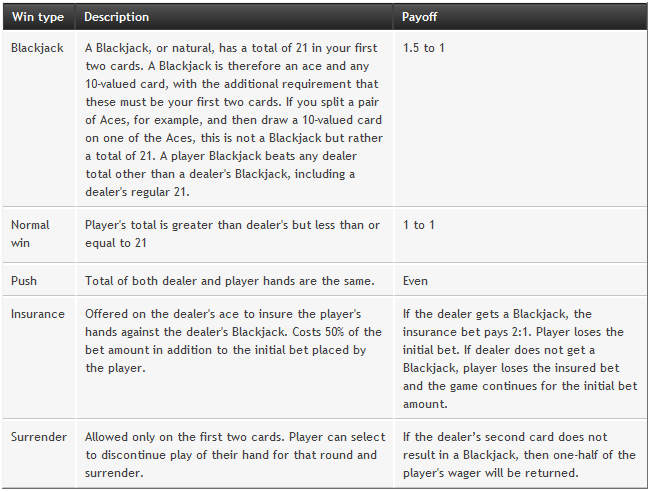 If a player gets ace and ten after splitting, then it counts as 21 points, not a blackjack, keep in mind. Surrender: A player forfeits half his wager, keeping the other half, and does not play out his hand. This option is only available on the two initial cards depending on casino rules. BAM Casino Parties creates a realistic casino night atmosphere so you can have lots of fun while losing no real money. We can assist you with every detail of your casino night from beginning to end to ensure you have a fun, exciting, and successful event! It is a chance of a lifetime to play blackjack, be taught by professional dealers and not lose a “real” penny. The rules for the game are too simple, game is played using six to eight decks, where the cards are shuffled after each hand. Players in Blackjack independently compete against the dealer to be closet to 21. Aces are 11 and 1, face cards count 10, and all other cards (2-10) are counted at face value. Player’s cards are dealt up and a dealer has one card up and one card down. If the dealer has up card an ‘ace’ they will provide an insurance which is basically a separate bet that a player can make before the dealer looks to the down card. This insurance bets wins if the dealer has 21. This bet may be half of their original bet. The dealer can now look at their hole card and if the dealer has 21, players loose the original bet. If not then, the player with Blackjack ‘21’ are paid double. Remember that a dealer’s Up card decides the player’s action. Our professionals lets you experience the fun-filled casino nights without loosing your real money. 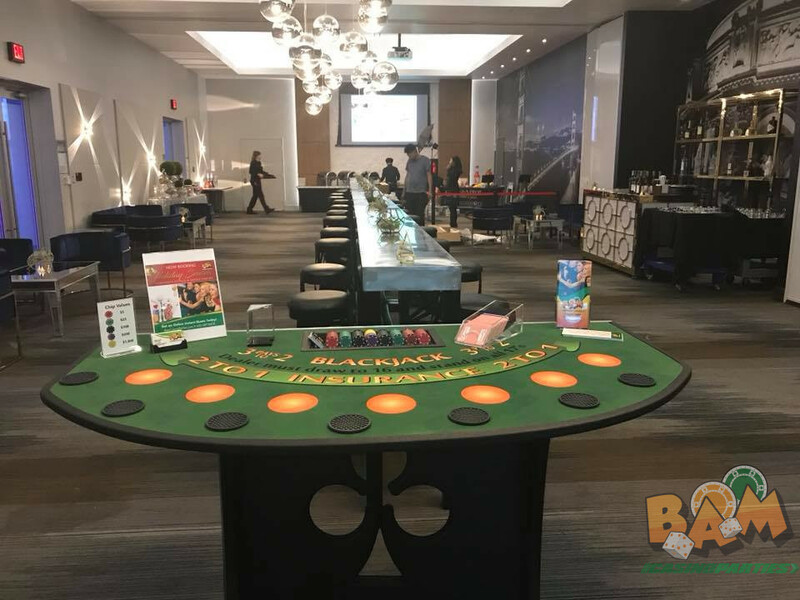 Here, at BAM casino parties our dealers can assist you with every detail of your casino party from the beginning till the end to ensure exciting, and successful bash! Are you Planning your next big party or casino fundraisers in San Francisco, Bay area? Looking for a fun idea or theme for your birthday party, prom party or grad night? Want to add some excitement to your company party or corporate event? Add some electrifying casino night entertainment with BAM Casino Parties. Let one of our casino party experts help you plan a memorable casino event that your guests will be talking about for days to come!